New York based tenor saxophonist/composer SEAMUS BLAKE is recognized as one of the finest exponents of contemporary jazz. His music is known for its sophistication, bold improvisations and “sheer swagger". John Scofield, who hired Seamus for his “Quiet Band,” called him “extraordinary, a total saxophonist.” Seamus Blake’s recent releases, Live at Smalls (Smalls Live 2010), Bellwether (Criss Cross Jazz 2009) and Live in Italy (Jazz Eyes 2009), have garnered considerable critical praise for his masterful playing, his fine compositional skills and for his facility as a leader. Live in Italy was awarded 4.5 stars in Downbeat. Described as “a knockout”, “one of the elite albums of the year” and “as exhilarating as a shot of espresso”, it is on many Top of the Year lists. As a leader, Seamus has released six albums on Criss Cross Records, including his 1993 debut The Call. These include the 1995 premiere of the “Bloomdaddies,” a “funky, alternative grunge” jazz band that employed electronic effects. He has also recorded as a leader for the Fresh Sound label ( Stranger Things have Happened), and as a co-leader on Mosh for Lovers (Bloomdaddies, co-leader Chris Cheek), and Fear of Roaming (Sangha Quartet, co-leader pianist Kevin Hays). 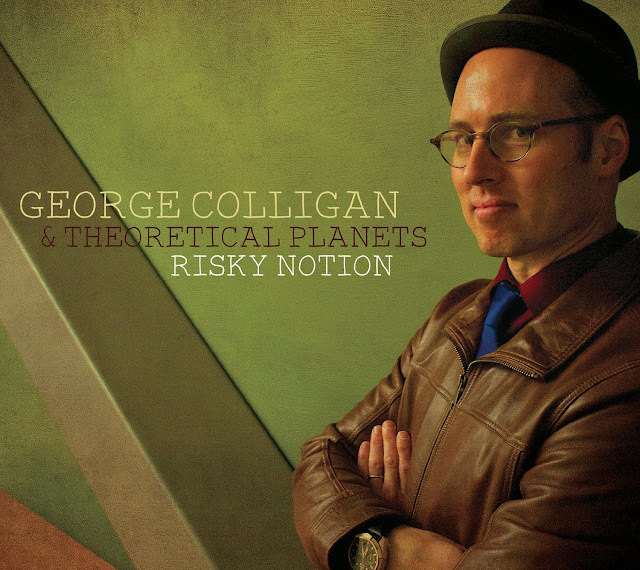 His band members on these recordings have included David Kikoski, Kurt Rosenwinkel, Larry Grenadier, Bill Stewart, fellow Thelonius Monk winner Lage Lund, Chris Cheek and Jorge Rossy (Brad Mehldau Trio). Seamus works with a wide variety of artists. A long-standing member of the Grammy nominated Mingus bands, he is featured on six of their albums. He continues to play and record with Bill Stewart, Kevin Hays, David Kikoski and Alex Sipiagin, and is a member of the Victor Lewis Quintet. He is also a member of BANN, led by drummer Adam Nussbaum. Their first recording was released in 2011 on the Jazz Eyes label. Seamus is frequently featured as a guest artist. In 2010 he was guest of honor at the International Saxophone Symposium in Washington hosted by the US Navy Band. Seamus was a member of John Scofield’s Quiet Band and toured and recorded with Dave Douglas. 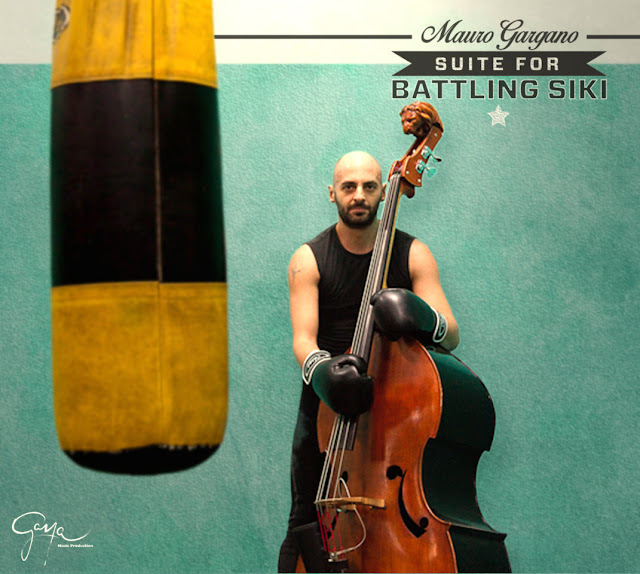 Some of the many other artists he has worked with include Eric Reed, Antonio Sanchez, Scott Kinsey, Tal Wilkenfeld, Jane Monheit, Kenny Barron, Sam Yahel, Michael Brecker, Randy Brecker, Wayne Krantz, Ingrid Jensen, Maria Schneider, Mark Turner, Brad Mehldau, Al Foster, Brian Blade, Jeremy Pelt, Jack Dejohnette. 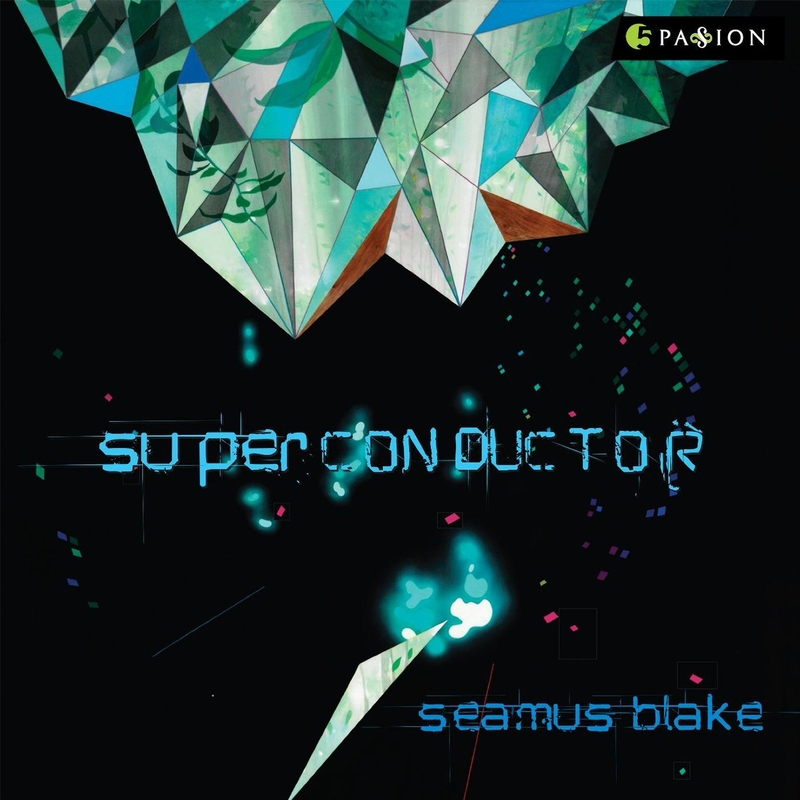 Seamus continues to work with his fine quintet (David Kikoski, Lage Lund, Bill Stewart, Matt Clohesey) and on his ongoing explorations of electronic applications in jazz, especially with the EWI (electronic wind instrument). For the last two summers he toured in Italy with his electric project which included Scott Kinsey (keyboards), Tim Lefebvre (bass) and Jordy Rossy (drums). Le 16 décembre 1925, le boxeur Battling Siki est abattu à coups de revolver dans une rue de New-York. Il n’a pas trente ans. On ne retrouvera jamais son assassin. Une mort à l’image de sa vie, tissée d’énigmes. Une enfance romanesque, une guerre héroïque, un triomphe sportif déjouant tous les pronostics : ces circonstances devraient lui valoir la gloire et l’argent. Or, Siki ne récolte que railleries et diffamations. Dans la presse, largement acquise au racisme, ses hauts faits se retournent contre lui. Son courage sous les drapeaux ? Allons, ce n’était que l’inconscience propre aux nègres ! Sa victoire sur Carpentier ? Un coup de chance, peut-être même une tricherie ! Siki s’exile alors aux Etats-Unis, mais là-bas aussi, c’est à devenir fou. Malgré ses qualités, il ne peut pas boxer contre les meilleurs, car ceux-ci sont blancs et ne veulent pas risquer le sort de Carpentier. Chacun des morceaux qui compose cette œuvre s’ouvre dans une sorte de brouhaha. On devine qu’on est au bord du ring, lors du fameux match de Siki contre Carpentier. On entend la voix de l’entraîneur qui donne ses consignes au boxeur (« Crois-moi, tu fais ce que je te dis ! T’as confiance en moi ? ») Mais que valent ses mots ? Parle-t-il pour son bien ou pour le trahir ? On entend aussi Siki qui, dans des monologues intérieurs, s’exhorte, s’interroge, confie ses espoirs, ses rêves, sa trouille. « J’en ai marre de me salir les mains avec mon propre sang. Dieu sait si ça fait mal… » Saisissante sincérité, que celle d’un homme acculé dans un coin, dans une impasse où la seule échappatoire est de se battre encore et encore. Siki a inspiré des intellectuels et des artistes divers : Ho Chi Minh, Paul Vaillant-Couturier, Ernest Hemingway, Henry Miller ont écrit sur lui. Plus récemment, un opéra et une bd lui ont été consacrés. L’aventure continue, le champion est de retour, aux couleurs du jazz cette fois ! Saxophonist and composer Elijah Jamal Balbed is a native of Washington, DC. 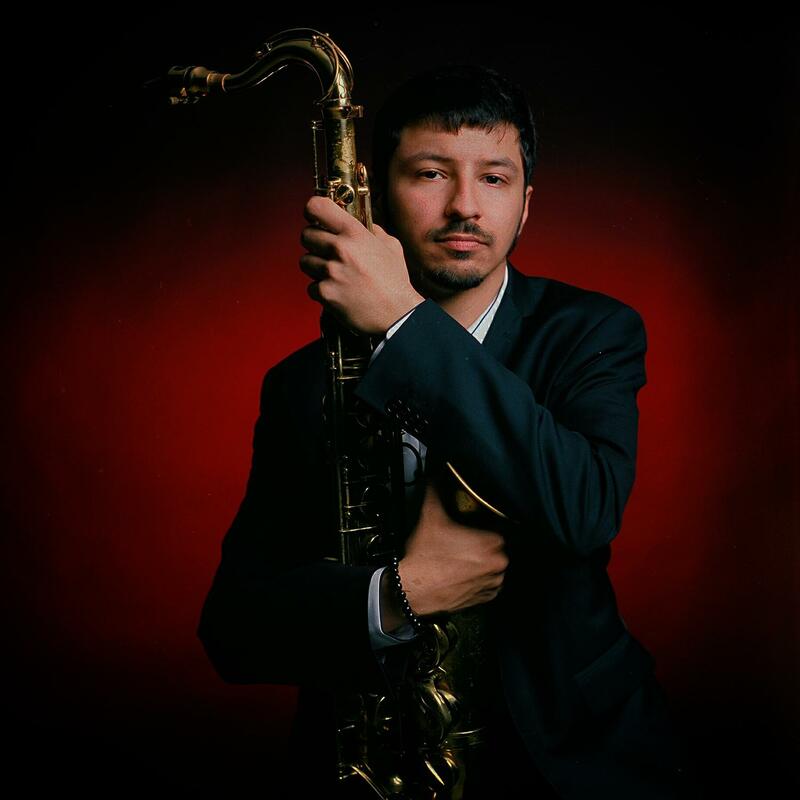 He has been named Best Tenor Saxophonist (2013) and Best New Jazz Musician (2010) by the Washington City Paper, and has participated in residencies at the Kennedy Center (Betty Carter's Jazz Ahead), Strathmore, and Bohemian Caverns. 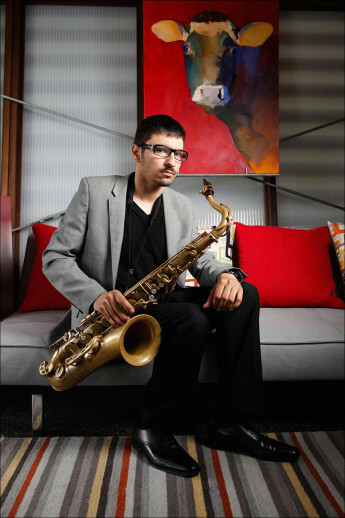 Over the last decade, he has established himself as one of the most versatile saxophonists in the DMV area, having performed with artists ranging from McCoy Tyner, Bennie Maupin and Pharoah Sanders, all the way to Lalah Hathaway, Eric Benet and Dr. John. He also worked regularly with the Godfather of Go-Go music, the late Chuck Brown. 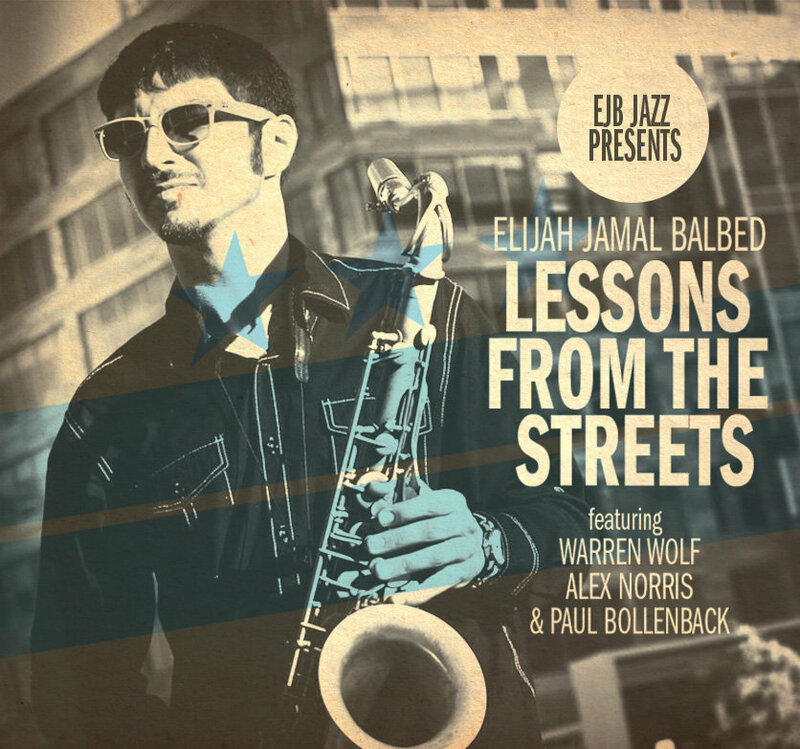 In 2012, Elijah released his debut album "Checking In", and in 2015 he released his sophomore album as a leader, "Lessons From the Streets". Elijah performs in and around the DC area with many different groups, and even has a band dedicated to combining elements Jazz and Go-Go musics, called The JoGo Project. 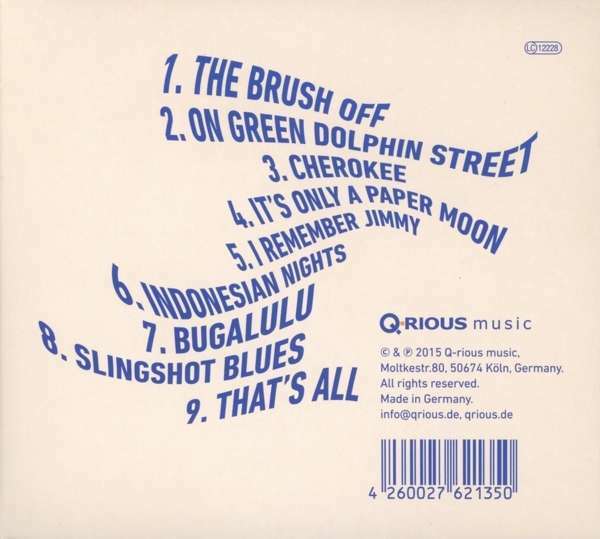 We owe the existence of this precious jewel of an album to a chance encounter in Indonesia's capital Jakarta in March 2011. Drummer Steve Smith and guitarist Vinny Valentino decided to go for a nightcap after playing the Java Jazz Festival with their band Vital Information. As they approached the lounge bar, they heard the sound of a wild swinging electric organ. Wondering “who the hell was banging those black and white keys” they walked in and there they saw Tony Monaco, one of the “unsung heroes” of the Hammond B3. Few people knew much about him apart from that he had been promoted by organ legend Jimmy Smith and had spent two years touring with jazz guitarist Pat Martino. Smith and Valentino made their way through the crowd and asked if they could join in. They proceeded to spent the rest of the night jamming out together later joined by festival greats like George Benson and Roy Hargrove. Five months later, fate once again intervened. Smith and Valentino had been booked for a workshop in Cleveland Ohio. Tony Monaco lived close by in Columbus, a modest 230 km drive away. A spontaneous phone call resulted in a car journey and resulted in the three of them playing in Monaco’s small home studio. Steve borrowed a small jazz drum kit from a friend of Tony’s as his own didn’t fit in the car. Valentino plugged his guitar into the only available amplifier and they were off. They worked so well together, they decided there and then to record an album. One and a half days later the recording was in the box! To get a sense of the style of this album, think of the classic Blue Note organ trios of the 60s. These true musos inject effortlessly this 50 year old sound into their own compositions, adding a few specially arranged jazz standards along the way such as the legendary 1958 Miles Davis classic version of "On Green Dolphin Street" which Smith’s zestful drumming gives a distinct Latin feeling; Ray Nobles "Cherokee" is gently modernised with a funky groove; Nat King Cole’s immortal "It's Only A Paper Moon" from the Broadway musical "The Great Magoo" retains a timeless swing but with a walking pedal bass from the Hammond organ; they wind down with a gentle version of "That's All", an unforgettable ballad from the Great American Songbook. 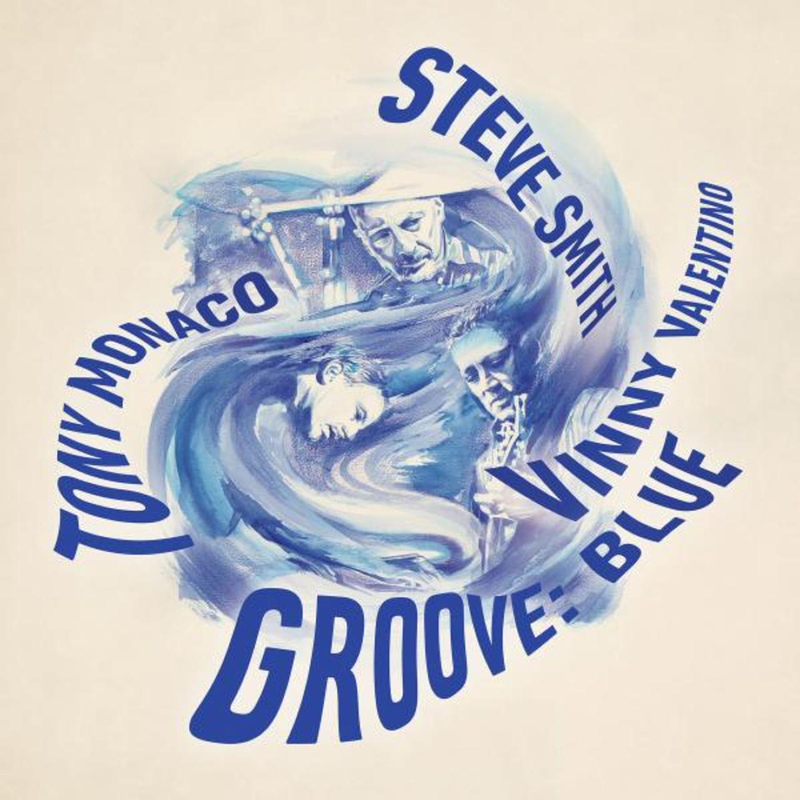 Although Smith, Monaco and Valentino had virtually no time for rehearsals, they harmonise on "Groove: Blue" as if they’d known each other all their lives. This is what happens with topflight musicians, they manage to blend perfectly together in every musical situation. They know every trick in the book as a glance at their biographies show. Let's start with Steve Elliott Smith. Born in Massachusetts in 1954 he was artist aged nine and taking drum lessons from big band veteran Bill Flanagan. 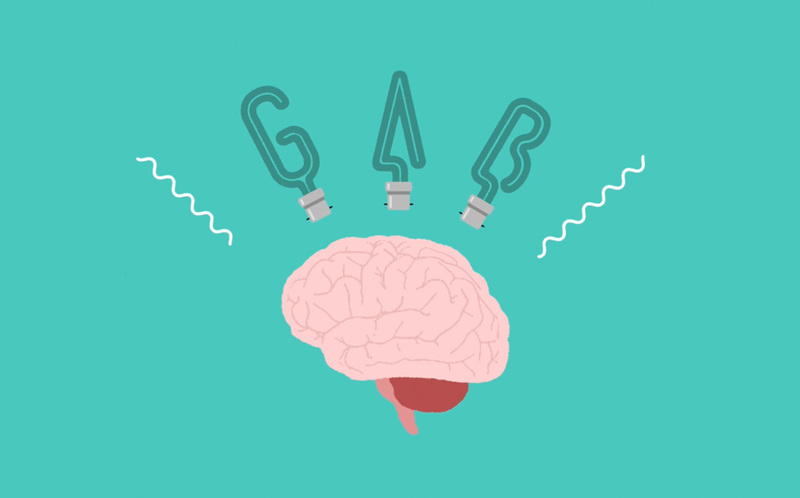 As a teenager he developed his skills at school and in garage bands. After high school he trained at the prestigious Berklee College of Music in Boston. Later Smith toured with jazz violinist Jean-Luc Ponty and was drummer on the last album of the famous Focus formation. While on tour with rock musician Ronnie Montrose in 1978, Smith was asked to join the band Journey. He stayed with the internationally acclaimed Arena rockers for seven years, playing on successful albums like "Escape" (1981) and "Frontiers" (1983) which enjoyed a number of Top 40 hits. To make sure his rock stardom didn’t overshadow his passion for jazz, Smith founded a side project ‘Vital Information’, which became his focus of attention after leaving Journey. Vital Information went on to release the universally acclaimed albums "Orion", "Fiafiaga", "Easier Done Than Said "and" Where We Come From ". Jazz journalist Bill Milkowski wrote: "There is no more flexible and disciplined 'band of killer players' in today's jazz scene.". 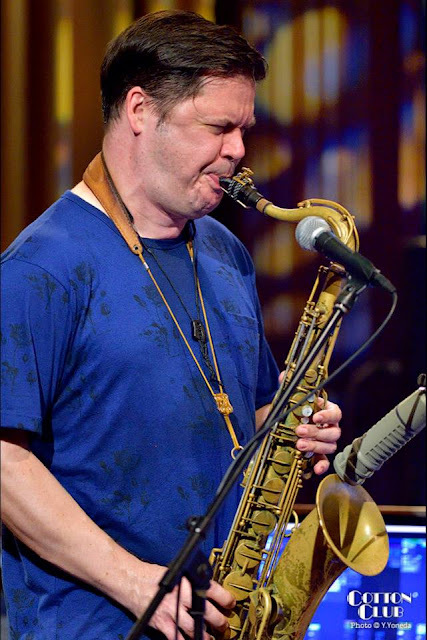 Although leading the Fusion Jazz line-up took most of his time, Smith still made time for studio sessions and / or live performances with Mariah Carey, Zucchero, Bryan Adams, Larry Coryell, Randy Brecker, Mike Stern, Victor Wooten and Hiromi. Through such extensive experiences Steve Smith has mastered many if not all styles of todays music. From marching drums festive parades that fascinated him in his childhood, through swing and bop to pop, power rock, fusion jazz and the rhythms of South Indian Konnakol School of Americans he’s done it all. Not surprisingly "Modern Drummer" magazine voted him the best all-round drummer five years running and added him to the list of the 25 best drummers of all time in 2001. Vinny Valentino has worked with jazz greats such as John Patitucci, Bob Moses and Steve Gadd. In 1993, he debuted a solo album "The Distance Between Two Lines". His solo back catalogue now stands at twelve recordings. In 2006, he joined Steve Smith’s Vital Information and quickly established himself as a driving creative force. His idol George Benson described him as a "young genius with brilliant tone and fresh ideas". Tony Monaco always dreamt of making his career as a musician but despite playing jazz clubs as a young man his wish remained unfulfilled. To feed his family he had to play safe and earned his living in the hometown of Columbus, Ohio as a restaurateur and food broker. Only after his friend and fellow organist Joey DeFrancesco made his debut album "Burnin Grooves" in 2000 were his talents recognised by a wider audience. Monaco decided to finally take the plunge. He has long been celebrated in insider circles but continued to be largely unknown. After eight solo albums and collaborations with Mel Lewis, Adam Nussbaum, Jon Faddis, Harvey Mason and Russell Malone, his latest work "Groove: Blue" has finally confirmed his status as an "unsung hero of the Hammond B3".